AICS will be going through many exciting developments over the next few years. Their main location, which is currently based at the World Trade Centre, will move to A.J. Ernststraat, Buitenveldert towards the end of 2021. 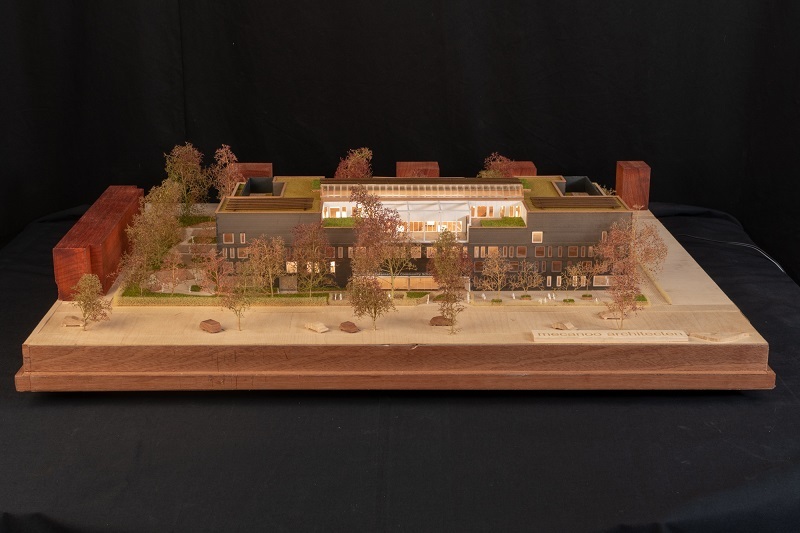 A large, spacious building has been designed, which incorporates the school’s values – including community, enquiry-based learning, areas for learning experiences, research, open spaces, outside learning and sustainability. It will also have its own sports gyms and theatre onsite. This location is for Primary and Secondary School students. In September of this year, they will move to the Darlingstraat in Amsterdam South East. A few years into the future, this location will move to its final destination, which will be in a few of the towers at the current ING ‘sandcastle’, right next to Amsterdam Arena (South East). This location is for Primary and Secondary School students and will aim to accommodate around 1,000 students. The satellite for Primary School students, located in Buitenveldert, will remain where it is. On these three locations, the school has just over 80 nationalities and around 1,350 students. At the AICS, they offer the International Primary Curriculum for Primary Schools, and the IB Middle Years Programme and Diploma Programme for Secondary Schools. The tuition fees are subsidised by the government, which gives expat families more of an opportunity to consider international education.